by Rich Becker: Climbing TheLadders: One Rung Short For A Lawsuit? 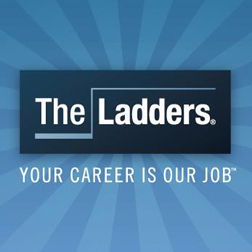 Climbing TheLadders: One Rung Short For A Lawsuit? Some time back in 2011, then CEO and founder Marc Cenedella for TheLadders snuck in a brand reversal. Instead of focusing on premium jobs, the niche job listing site opted to expand its services to everyone. Back when it happened, the announcement drew 139 comments. Most of them were negative. And the entire story, that TheLadders had decided to become another job site, was mostly over. Or was it? TheLadders faces a lawsuit that could shutter it. We'll see. Lurking largely behind the scenes was the next chapter in crisis for the company. 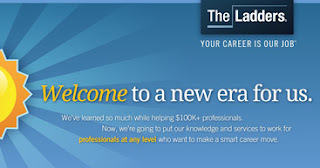 TheLadders is now facing a class action lawsuit in New York federal court. Specifically, the lawsuit doesn't look at 2011 as a rebranding expansion. It looks at an old post as an admission by TheLadders. According to the suit, many of the jobs offered on TheLadders were scraped from other sites with no attempt at verifying how much they paid or even if they were current before the company made the switch in 2011. You can read the complete lawsuit filing here, but the crux of it is that the company simply changed its language in 2011 to match what the service had been all along — a premium payment job site (and not necessarily a premium salary job site). The suit, filed by the New York class action firm of Bursor & Fisher, was also reported by recruiting consultant and blogger Nick Corcodilos. I recommend this read, as Corcodilos has posted a summary. There is another interesting piece by the ERE here, especially because it reads like a foreshadow to the September surprise (even if David Manaster stopped short of calling the service a scam). Loud complainers want to be customers. Watch out for everyone else. Manaster then went on to dismiss the ruckus by saying something he has said before. "When people have a beef, they can be counted on to complain loudly. When people are satisfied, they tend to … well, be satisfied." He seems to have been wrong on that point then and remains equally wrong today. When people have a beef, they tend to leave quietly because they've already given up. The complainers, on the other hand, tend to be people who still want to be your customers, even if your company is built on a questionable model. And then there are those who will be heard, not with words but with actions — like anyone who piled on with the class action lawsuit that alleges fraud. Interestingly enough, it wasn't only the people who were paying for "hand-screened" job selection that have been frustrated by TheLadders. Employers weren't really happy either. Along with mapping out most of the history, the article sources a direct quote by Cenedella, admitting that as many as half of all listings were culled from the web. Basically, staffers guessed at salaries as opposed to verifying that the listings truly paid $100k or more. Exposure is good, unless it leaves you exposed to unnecessary risk. Several years ago, I wrote a story about a company that hoped to go head to head with TheLadders public relations machine. At the time, both wanted to dominate a subscription-based job site niche that focused on jobs starting at $100k. The other company, RiseSmart, eventually shifted its focus to outplacement because it couldn't really compete in a niche against a competitor that possibly cheated. Those stories were written more than five years ago. Even then, people were saying what they are saying today. Most (if not all) premium job listing sites aren't worth the money they charge. Ironically, in one of the articles I sourced then, executives from TheLadders said that $100k jobs weren't listed on free sites but only premium payment sites like TheLadders. This "fact," it seems, couldn't have been true if 50 percent or most of the postings were culled. Culled jobs had to be listed somewhere. And therein lies the rub. TheLadders unquestionably dominated the space and ran others businesses out of the niche with an overwhelming barrage of paid television commercials and public relations. But, at the same time, the crisis that TheLadders may face next is being framed up by all that coverage. Every quote by company spokespeople that reinforces an overinflated marketing statement prior to 2011 carries the potential to become an exhibit. And although I'm not sure, the company seems to know it. Its current strategy seems to be burying lawsuit stories with anything and everything from Spring Cleaning job searches to launching a new ELITE program to JobMobile, an event that will bring industry thought leaders together in Atlanta, Chicago, New York City, and San Francisco. That might not be all that surprising for the public relations heavy site. But what is surprising is that the company isn't talking about the suit. It hasn't made a statement anywhere on the site to date, but did issue a statement about the lawsuit to The Business Insider, making this a living case study.